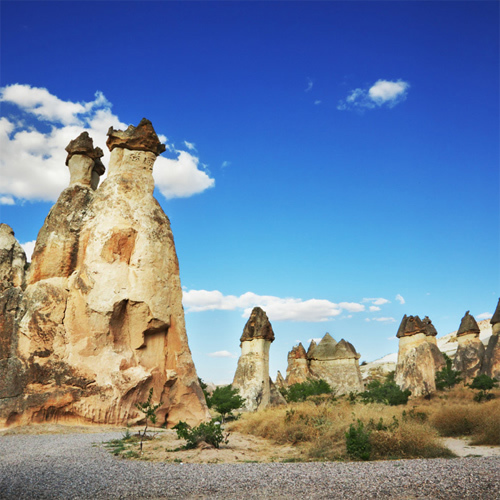 Cappadocia is a place like no other. With its one-of-a-kind 'moonscape', this place has earned admirers around the world due to its beauty and singularity. Perfect and exciting region for lovers of history and culture, and still a wealth of fascinating territory to explore. 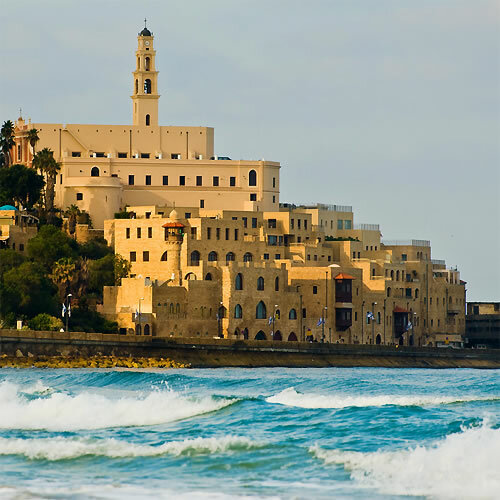 Although affected by religious and social tensions, the Middle East is one of the most fascinating parts of the world! Alexandria, known as 'The Pearl of the Mediterranean' is a city that has a vibrant history, with ups and downs. 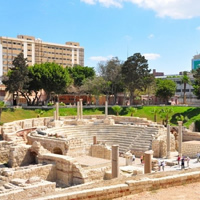 Founded by Alexander the Great in 331 BC, it became the capital of Graeco-Roman Egypt, then was mostly destroyed and started to develop again in the 19th century. 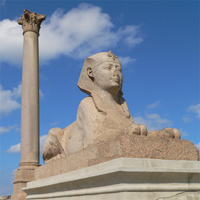 The symbol of Alexandria was the legendary lighthouse, one of the Seven Wonders of the World. Now It's the second largest city of Egypt and its sights are related to historic and cultural heritage. Unforgettable vacation experience! 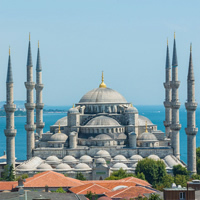 Begin this fabulous trip flying into Istanbul and explore their dazzling Grand Bazaar, which will give you a taste of the real Istanbul experience. This marvelous city will amuse you with their richness in culture, many temples and great shopping and exciting nightlife. 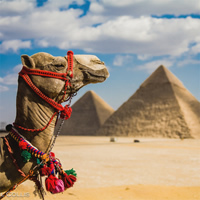 Then escape to Cairo, where you can explore their breathtaking and world famous Pyramids, visit the capital's medieval markets by Khan El-Khalili, or walk down the Nile promenade. Last but not least is Alexandria, known as 'The Pearl of the Mediterranean', featuring alluring beaches and its worldwide known Bibliotheca Alexandrina, holding more than 8 million books. This is a truly unique experience you won't want to miss. Unforgettable vacation experience! 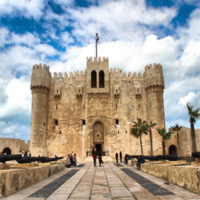 Fly into the marvelous city of Cairo and delve into this vibrant and energetic city, making a stop at some of the many mosques and palaces, or amuse yourself with the magnificent views of the pyramids of Giza, visit the capital's medieval markets by Khan El-Khalili, or walk down the Nile promenade. Then fly to Alexandria, known as 'The Pearl of the Mediterranean', featuring alluring beaches and its world-wide known Bibliotheca Alexandrina, holding more than 8 million books. Unforgettable adventure!!! Perfect city and beach combination! Begin this incredible experience flying into Dubai and discover such a luxury destination. Visit The Emirates Tower, Burj Khalifa or The Jumeirah Mosque, the most photographed mosque in all of Dubai. Then escape to Abu Dhabi, the second most populous city of the United Arab Emirates. Visit the Sheikh Zayed Grand Mosque, then go to Heritage Village which is a pleasant place to wander around. Up next is Cairo, home to world famous pyramids, visit the capital's medieval markets by Khan El-Khalili, or walk down the Nile promenade. Last but not least is Alexandria known as "The Pearl of the Mediterranean" featuring alluring beaches and its worldwide known Bibliotheca Alexandrina, holding more than 8 million books. This is a truly incredible experience you won't want to miss. Enchanting destinations! Fly to Istanbul and explore their dazzling Grand Bazaar, to get a taste of the real Istanbul experience. Experience their richness in culture, many temples, great shopping and exciting nightlife. Then fly to Cairo to see the world famous Pyramids, visit the capital`s medieval markets by Khan El-Khalili, or walk down the Nile promenade. Next fly into Luxor, famous for its ancient monuments such as The Luxor Temple, Karnak Temple, the Valley of the Kings and the Valley of the Queens. Lastly, escape to Alexandria, known as 'The Pearl of the Mediterranean', famous for its world-wide known Bibliotheca Alexandrina, holding more than 8 million books.